I have been dating this guy. For about 14 years. I know, that is a really, really long time. He’s super handsome. Smart, sophisticated. Brilliant. Charming, the whole package. I should be so proud. Sounds great, doesn’t it? His name is Mr. Unavailable. And oh, did I mention, “he” is actually twelve different people. Yes, you heard me correctly. 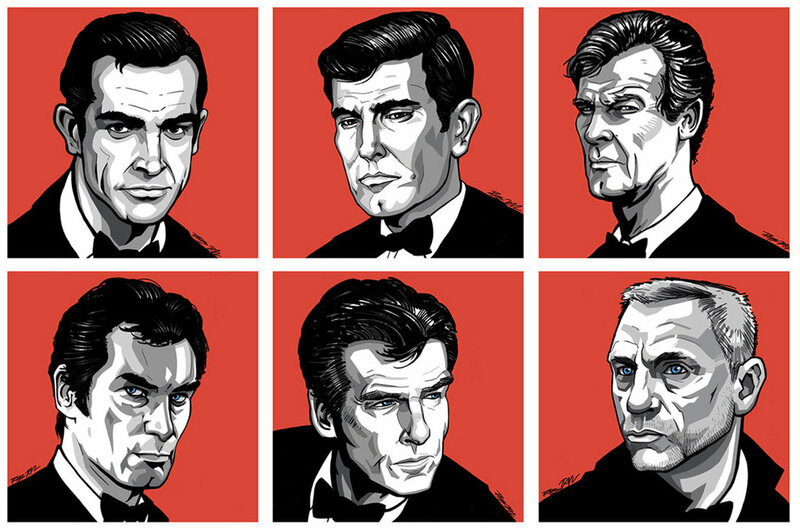 It’s like James Bond- but really, Sean Connery, Timothy Dalton, Roger Moore, Pierce Brosnan, Daniel Craig (not in that order). I’m taking a halftime break from Chakras because the heart Chakra is where I am doing the most work. And what I am discovering, through all this self-revelation, is that I have dated the same person over and over again: Mr. Unavailable. Unavailable how, you ask? Pretty much every way you can imagine. People in other countries, other cities, other continents. People who, it turned out, were already in a relationship with someone else. People who presented themselves as a completely different person than who they actually were. People who were emotionally unavailable. I’ve had them all. Some people say I am hard on myself. That I blame myself for dating the same dude over and over again. Good. I need to be. I am strong enough to recognize that I am the common denominator in this pattern. I get that I have attracted and invited these people into my life. But the real question is why- and how can I stop it? I was introduced to “The Work” by Byron Katie, a New Ageish/Self-Helpish speaker and author whose method of self-inquiry has been shared by the likes of Oprah and Time magazine. Byron Katie’s approach to thought is a simple one… take a thought and turn it around. A bunch of different ways. And the result? Pretty damn interesting. You can find this at her website www.thework.com or download her app. In its most basic form, The Work consists of four questions and turnarounds. For example, your statement might be “Paul doesn’t listen to me.” Find someone in your life about whom you have had that thought. Then take that statement and put it up against the four questions and turnarounds of The Work. A statement can be turned around to the self, to the other, and to the opposite (and sometimes to “my thinking,” when that feels appropriate). Find at least three specific, genuine examples of how each turnaround is true in your life, and then allow yourself the time and presence to feel them deeply. For example, “Paul doesn’t understand me” turns around to “I don’t understand me.” Find at least three specific, genuine examples of times that you have not understood yourself. Another turnaround is “I don’t understand Paul.” Relax, close your eyes, and with an open mind witness as the images and feelings within you begin to show you, example by example, where you have not understood Paul. Be very gentle and thorough. He understands that when I’m angry I always get over it. He understood me last week when he laughed at the joke I was telling him. He understood me yesterday when I told him I really needed to get away with friends. He even stayed home with the kids. As I began living my turnarounds, I noticed that I was everything I called you. You were merely my projection. Now, instead of trying to change the world around me (this didn’t work, but only for 43 years), I can put the thoughts on paper, investigate them, turn them around, and find that I am the very thing I thought you were. In the moment I see you as selfish, I am selfish (deciding how you should be). In the moment I see you as unkind, I am unkind. If I believe you should stop waging war, I am waging war on you in my mind. I participated in this exercise with the thought of, “I attract unavailable people”. What I realized through the questioning in The Work… wasn’t necessarily that all the guys I was dating were unavailable… it was that I was unavailable. Um, like whoa. That is deep. Then, like the ending of Usual Suspects, it all came together. The vacation escapes. I’m never around. I meet and make billions of friends but none of which I am super super close. Oh. My. God. I AM MR. UNAVAILABLE. So here I am – working on that piece of me. Nurturing existing relationships. Staying present and available and open as I can be. 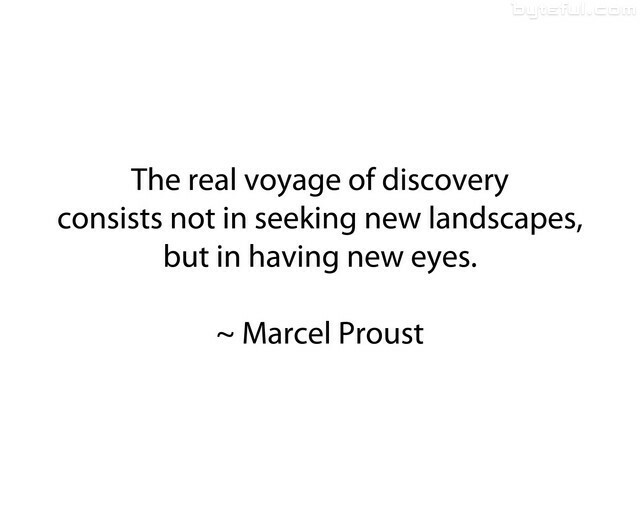 It can be so profound to realize that what you attract is really what you’ve been projecting… it can open your eyes – and give you a new view on life. Time to get more available. Jess. I think you’ve nailed it. A rolling Stone gathers no moss. Sometimes I feel like my life is covered in moss but then I realize that right here right now I’m happier than I’ve ever been. It has taken seven years of living in Boise and letting go of what I think my life should be based on what I see around me or on blogs. I know that I’m moving forward because I’m forgetting some of those specific details that used to seem so important. Besides Boise and Los Angeles have too nice of weather to grow moss! Keep it simple and enjoy! I say this to you after a rough night with a cranky baby and a husband in Kodiak Alaska all week. I’m right where I need to be and the only time I feel otherwise is when I’m in Seattle… Surrounded by our schoolmates who are busy having their third child or planning the next trip to Hawaii. What they don’t know is that from May until October Boise is Hawaii. Hugs girl! Keep up the work. Your best stuff is right around the corner! Does this make any sense? 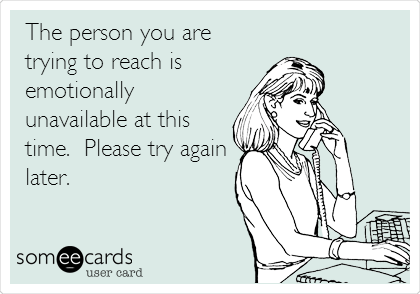 Being emotionally and physically available is the ticket. thanks Brooke! yes, makes sense. I am going to visit you and freakerbox- I swear! !